When most people think about air conditioning systems, they tend not to think too much about the brand names. This is unusual compared to many other industries where brand names are very prominent. This is probably because most people don’t really think about air conditioning too much unless something goes wrong and the units are generally located out of sight. However, air conditioning systems can vary a great deal in quality, reliability, and functionality. Today we will take a look at some of the factors you need to consider when you select your air conditioning brand. An air conditioner could have every imaginable feature available, but if it has poor energy efficiency, it will cost more to run. Most modern air conditioning brands excel in this area as the focus in recent years has been on making these devices more environmentally friendly. However, there is some variance, so check the energy efficiency rating and compare it to other brands you’re interested in. Having already mentioned features, we should now look at what kinds of features you should be looking for on your next air conditioning brand. When you’re considering a better cooling performance pay close attention to the inverter and the size of the compressor. A timer control will be handy for setting your on and off times accurately. Many modern thermostats offer a lot of information and are especially useful if you want to divide your home into different zones. A more advanced system will also have climate controls to ensure that you can regulate the temperature separately in each room. Finally, if you’re going to install a new system look into WiFi and remote access options so that you can operate your air conditioning when you’re away from home. We all want to buy items and devices that will work well and last a long time. An air conditioning system is considered a significant investment that will add value to your home. A big brand recognisable name such as Toshiba inspires confidence and will generally indicate a more sophisticated level of design and manufacturing. Obviously, even with a Toshiba, air conditioning service visits will be required periodically, but if the system is well looked after it should work at optimal efficiency for many years. 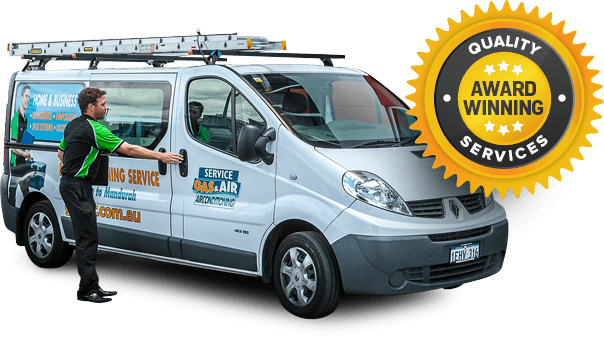 Finally, note that most modern air conditioning systems come with a warranty for servicing, labour, and certain spare parts. If they are interested in Toshiba air conditioning, Perth residents should contact us here at Gas & Air. We stock, install and service an extensive selection of domestic and commercial systems including Toshiba air conditioning units. We offer a high quality local service at an affordable price and take great pride in our work. If you have any further questions, get in touch with us and we would be happy to discuss your needs in greater detail.